There are several gem varieties that display multiple colors in a single stone. Tourmaline in particular is famous for its bi-color specimens. 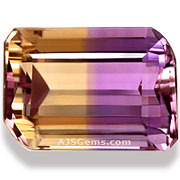 But there is one gemstone whose very name promises multiple colors: ametrine. The name ametrine is a combination of amethyst and citrine, the most well known forms of the mineral quartz. Ametrine combines the purple of amethyst and the golden yellow of citrine in the same gem. 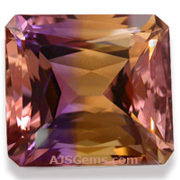 Usually ametrine will display separate zones or regions of purple and gold, but complex faceting can produce areas of blended color as well. Amethyst and citrine are often found in the same locations in the world. But it is quite rare for both colors of quartz to be found in the same crystal. Amethyst and citrine are both colored by traces of iron, but the color variations are due to differing oxidation states of iron within the crystal. These occur due to temperature differences across the crystal during its formation. Though quartz varieties are found throughout the world, virtually all of the world's ametrine supply comes from a single location in southeastern Bolivia, the Anahi mine. The mine is in a remote location about 400 km from Santa Cruz, Only in this location were the conditions of formation exactly right to produce multiple colors in the same crystal. The ametrine occurs in veins in a dolomitic limestone. Legend has it that the Anahi mine has been known since the seventeenth century when a Spanish conquistatador received it as a dowry when he married an native princess named Anahi. However, ametrine has only been mined commercially since around 1980, and the mine has had periods of declining production from time to time as new ametrine veins had to be located. The mine also actively produces amethyst, its main product. 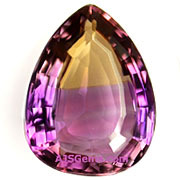 The Anahi ametrine crystals range in size from 10 to 30 cm in length and 4 to 12 cm in diameter. When sliced and polished, the interior of the crystals show the typical color zoning. The amethyst and citrine zones run from top to bottom, parallel to the crystal’s c-axis. In buying ametrine the main concern is to avoid the synthetic material produced in Russia by the hydrothermal method. Usually this material is offered only in questionable channels such as online auction sites; no reputable gem dealer would sell it. Consumers should be alert for highly saturated colors that are not typical of the natural product, as well as combinations of colors, such as blue and green, that are not found in nature. Clean material in very large sizes offered at low prices would be another strong indication that the material is not natural. 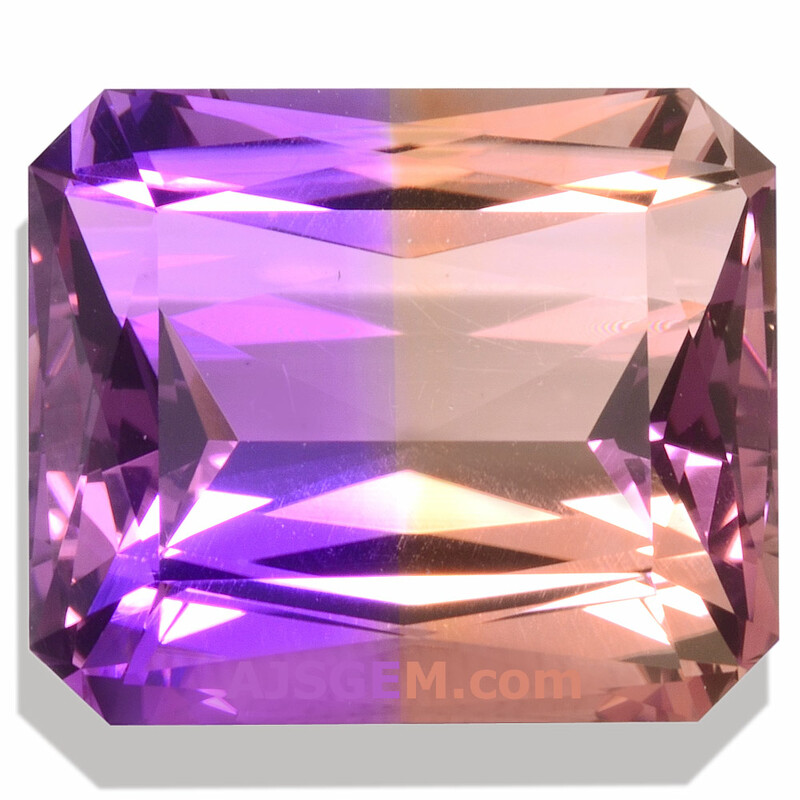 If in doubt, well-equipped gemological laboratories can identify natural ametrine.